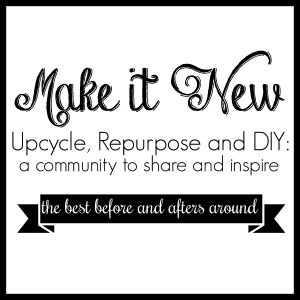 It’s been a little quiet around here lately, with no other reason except there has been a lot going on around here besides DIY projects. 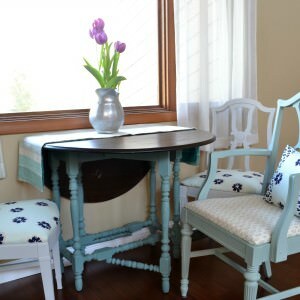 I thought I’d kick things back off with one of my favorite things to do – paint furniture! 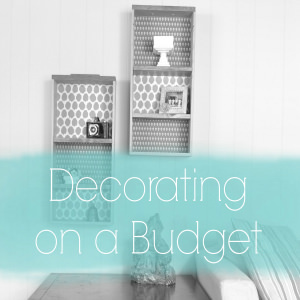 This month for the Fab Furniture Flippin’ Contest our theme is Bling Bling, and with good reason. 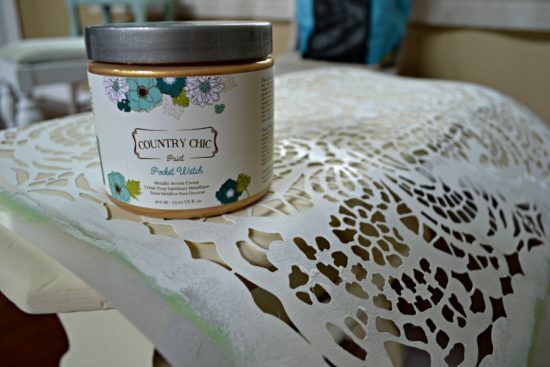 Our host is Country Chic Paints – and in addition to their line of clay-based furniture paint, they also carry metallic creams that can add a little extra bling to your refinishing projects. 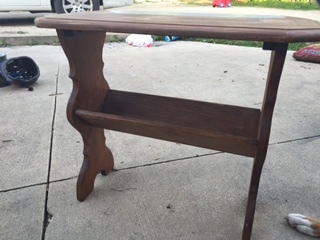 My husband picked up this little side table on the side of the road. He turned around to my four-year-old and asked, “Hey, do you think Mommy would want this?” Well, I’ve trained them both well, because she said yes and he pulled over and picked it up! 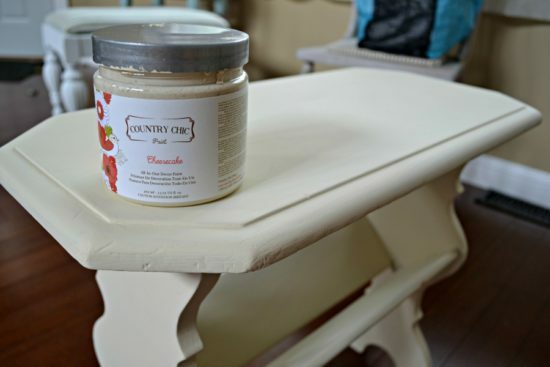 I chose to use Cheesecake for this project, a beautiful off-white color. 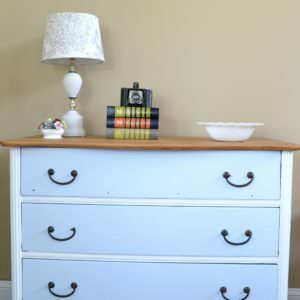 After two coats of paint, it covered beautifully and it was time to add some shine! 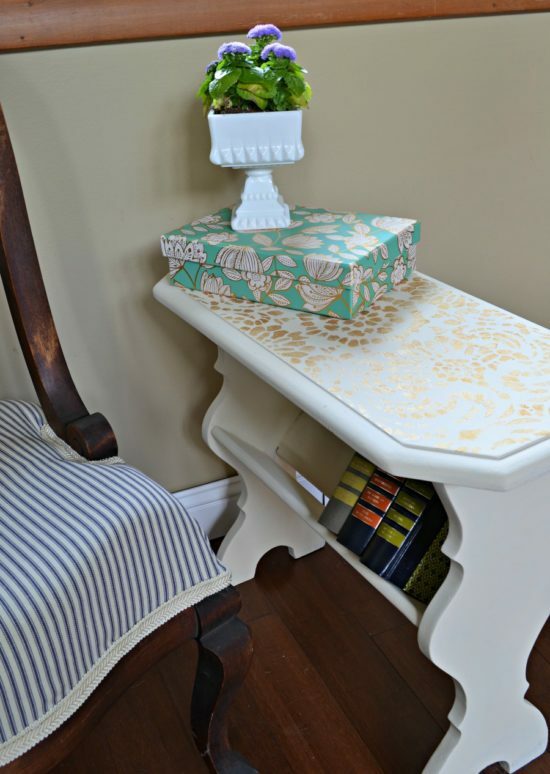 The metallic cream in Pocket Watch seemed to be the perfect pair for the off-white color of the paint. 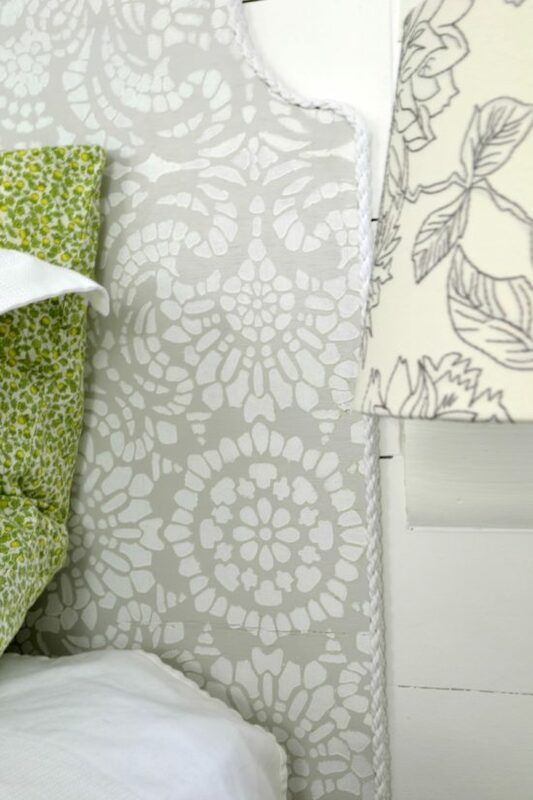 I reused the stencil from the headboard I created for our master bedroom refresh. 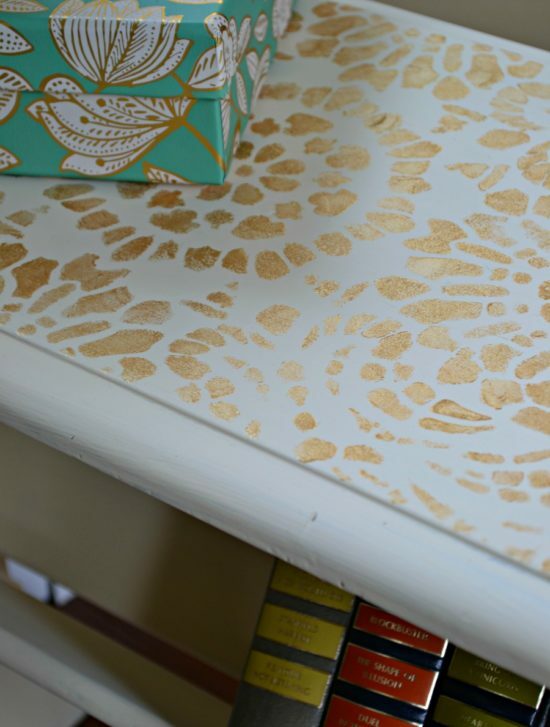 I’ve actually never used a cream with a stencil, so I wasn’t sure how well it would work. I made sure to spray the back of the stencil with a light spray adhesive to help it adhere to the surface to prevent bleed through. I found that the cream actually bled through a lot less than paint normally does. I simply used a foam pouncer to lightly tap the paint onto the surface. I love how the gold added just a little extra to the table. 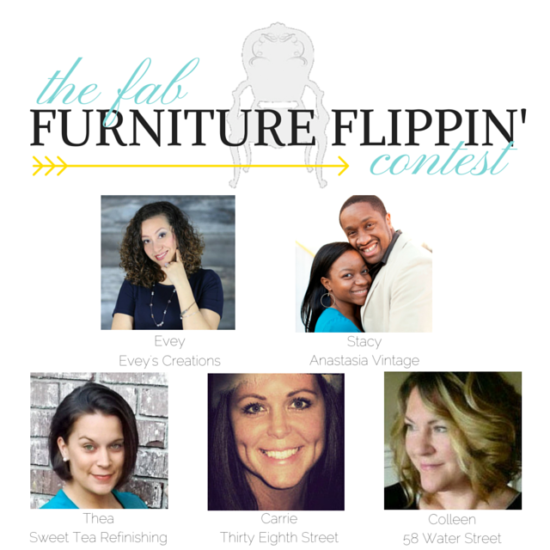 A bunch of other amazingly talented bloggers have participated in the Fab Furniture Flippin’ Contest, too. 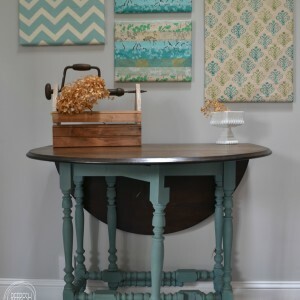 Head on over to see their projects by visiting our hosts for the month: Carrie at 38th Street and Thea at Sweet Tea Refinishing. 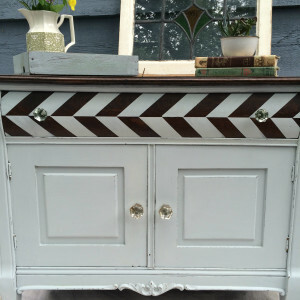 I LOVE refinishing furniture! 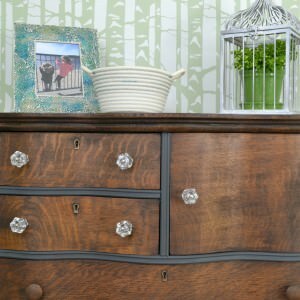 You can see all of my refreshed pieces here, or check out a few of my other Fab Furniture transformations below. 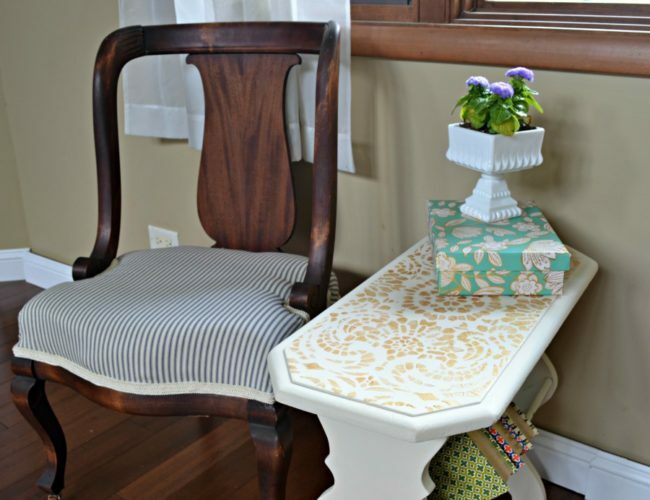 Roadside finds are my favorite projects to refab, and that metallic cream is a dream to stencil with, great rescue project Jen, love how it turned out! Perfect amount of bling added to your sweet table, Jenny! So cute! 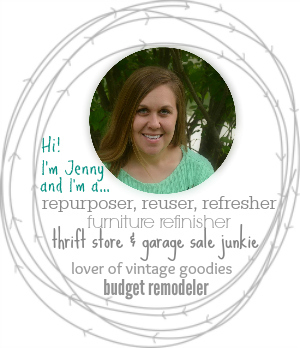 Jenny – your table turned out beautifully! We love that your family found it for you on the curbside! They knew that you could bring it back to life! Well done. Love roadside finds! Yours turned out beautiful. 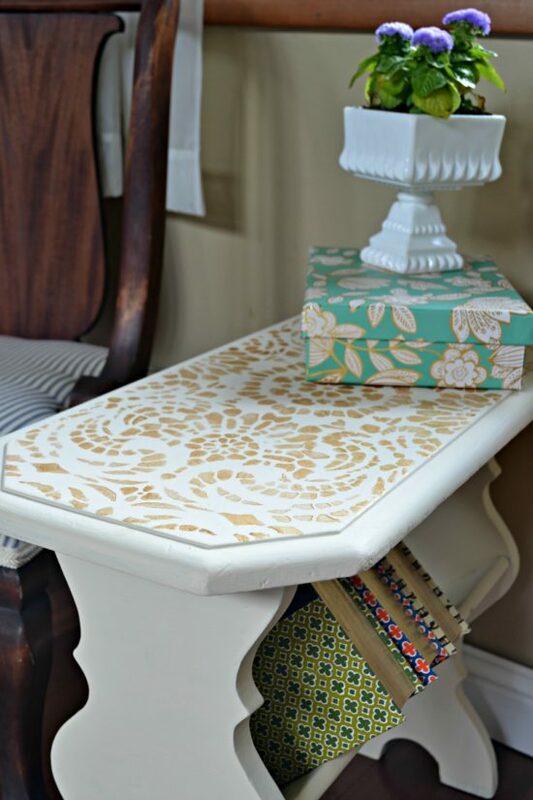 Love the blinged stenciling! 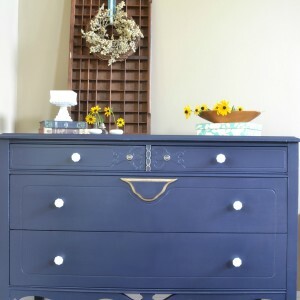 Great makeover! That is a cute little pot of flowers!